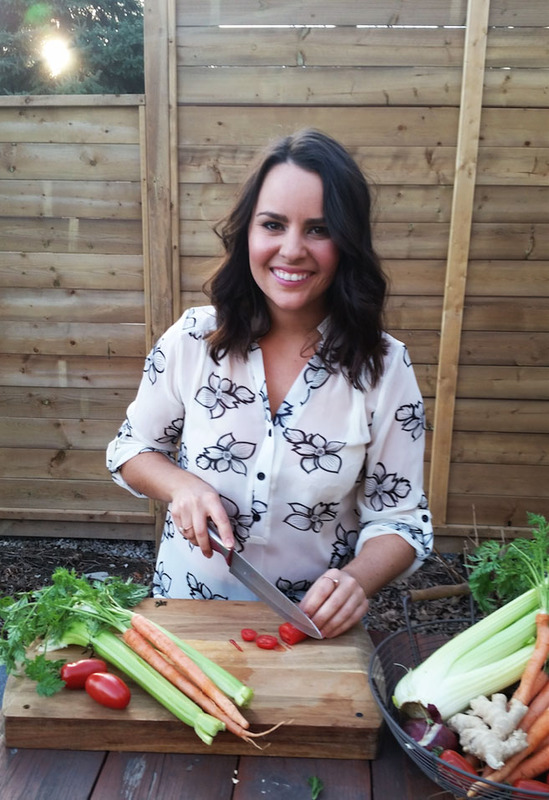 Meet Kate and her no nonsense approach to reclaiming your health. I’m so glad you stopped by! I know your time is valuable and I want to help you get the most out of your visit. If you’ve put yourself last, if you’ve pushed your health aside for too long or if you’re looking to reclaim your health through healthy eating, improved lifestyle and targeted supplementation, then you’re in the right place! When I started my journey to health, I was so overwhelmed by all the information out there, I didn’t know where to start…so I didn’t. For many years, I ignored the signs my body was desperately trying to give me that something was wrong. I ignored the unwanted weight gain, the acne, the fatigue and the acid reflux; until I couldn’t ignore it any longer! I was so tired of being tired and constantly walking around with an ‘upset stomach’ so I went to specialist after specialist with unsatisfactory solutions that involved prescription medications. I knew there must be another way so I started educating myself and learning all I could, I made small changes over time and I began to give my body what it needed to heal itself. I saw the absolutely amazing effects small, simple changes had on the way I looked and more importantly, on the way I felt. I went from needing ten hours of sleep per night merely to get through the day, to feeling refreshed and awake on only seven or eight hours. By taking away the stressors on my body, I found my skin improved, my acid reflux disappeared, my hormones rebalanced and almost as a side effect, the weight came off. In that moment, I was sold on the powerful possibilities of food and specific supplementation, and the ways we can either feel amazing or truly awful, simply by what we chose to eat, think and do. After what I had experienced, I decided that everyone deserves to feel this good! Through my amazing experience, I realised I was determined to help others feel the same way! I attended the Institute of Holistic Nutrition’s intensive Applied Holistic Nutrition program, graduating with a Certified Nutritional Practitioner (CNP) designation. Additionally, I am registered with the Canadian Association of Natural Nutritional Practitioners (CANNP). I am passionate about helping people discover the joy of living a healthy, happy and holistic life. My mission is to help my clients reach optimum health and improve the quality of their daily lives through the field of preventative holistic health care. Are you’re tired of dealing with heart burn after every meal, maybe you just want to wake up feeling refreshed for once and not yearn for a nap at 2pm? Maybe you want to feel in control of your eating habits and have time to meal prep? Whatever you’re feeling, it’s okay! You’re in the right place. I’m here to help you reach your goals with easily attainable steps. I don’t believe in radical diets and lifestyle changes that overhaul your entire life. With small adjustments, support and guidance, week over week, you’ll be able to reach your goals and most importantly, you’ll be able to stick with them longterm ensuring the optimum quality of life that we all deserve. I’d love to chat about what’s going on with you and how I can help. Book a free, no obligation 15min phone consultation with me and let’s discuss the most effective way to help you become the best you can be! I can’t wait to hear from you!